Deciding to file bankruptcy is often considered to be a last resort solution to a long standing financial situation. One of the mistakes that is often made by individuals and business owners is waiting too long to file. They use resources that can be better utilized elsewhere while trying to make payments to creditors and keep their businesses operating smoothly. Another mistake is that they often try to file for bankruptcy without hiring a Chapter 11 bankruptcy lawyer. 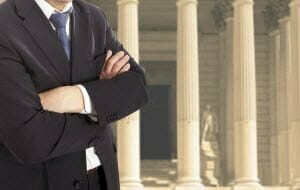 There are benefits to hiring reputable legal representation for your bankruptcy case. You will find this chapter in the United States Bankruptcy Code. Under this chapter, businesses and individuals can enter into a reorganization agreement approved by the court. Debtors receive additional tools and resources than the ones that are available during court proceedings. A court will appoint a trustee to manage the operations of the business. The debtor can act as trustee until the court appoints one. As previously stated, Chapter 11 is the section of the bankruptcy code that deals with reorganization. Bankruptcy courts provide tools that debtors can use when they are ready to restructure their business. One of these tools allows debtors to apply for loans that are flexible and easier to get approval. Once lenders approve these loans, they will receive their loan payments by having high priority in the businesses’ profits. Also, an automatic stay protects debtors. This is a legal advantage that protects debtors from litigation by other creditors. When filling for bankruptcy, there is a lot of paperwork to complete. Although it is not mandatory to hire a bankruptcy lawyer, it would be a wise decision to do so. The lawyer will not only handle all of the paperwork for you, the lawyer will also work tirelessly to reduce the amount of loss you incur. An experienced bankruptcy lawyer can also play a key role in the restructuring of your business. If your business is going through tough financial times do not try to resolve the issue alone. Locate a Chapter 11 bankruptcy lawyer in your area that offers free consultations. Then, find out how you can increase your chances of a successful resolution to your case. You may even find out about alternatives like debt negotiation. Douglas Jacobson Law Firm is a bankruptcy law firm that can assist you with your bankruptcy filing and assist with debt restructuring and reorganization. Contact us today for a free consultation.